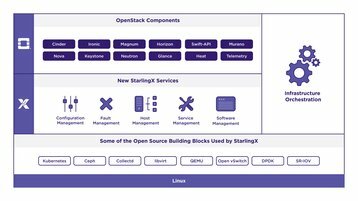 The OpenStack Foundation has released the first version of StarlingX – a software platform for edge computing and IoT. StarlingX can be used for node configuration in remote edge environments, host and service management, and software updates. It can also alarm users about any faults with the hosts or the network. The foundation says the platform is optimized for low latency and high performance applications, and is primarily aimed at use cases in carrier networking and industrial IT. OpenStack is the world’s most widely deployed open source infrastructure software – powering thousands of private and public cloud deployments running across more than 10 million physical CPU cores. It consists of the integration engine and nearly 50 software modules, or ‘projects’, designed to do different things: for example Ironic for bare metal servers, Nova for virtual machines, Cinder or Swift for storage and Neutron for networking. Earlier this year, the OpenStack Foundation broke with tradition and launched two projects that are completely independent of the OpenStack platform - Kata Containers for virtualization and Zuul for continuous integration and continuous delivery (CI/CD) of code at scale. 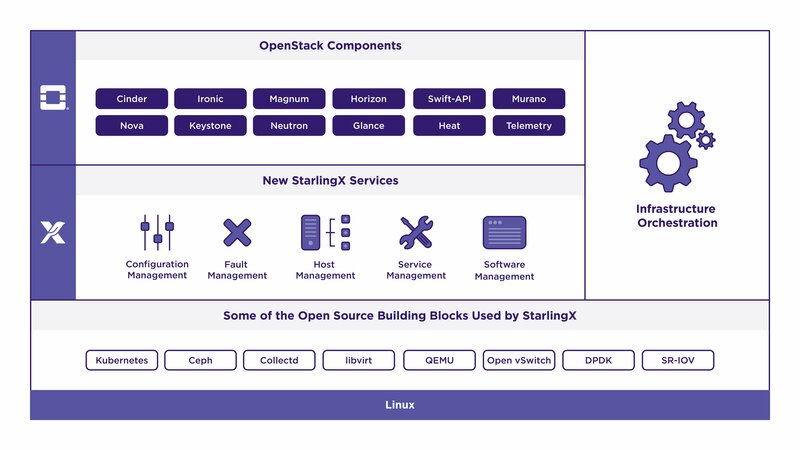 StarlingX is the third top-level project to be hosted at the foundation alongside OpenStack — with the original code base contributed by Wind River, a company that has been making software for embedded systems for nearly 40 years. StarlingX is a software platform that can be used to manage large networks of relatively small hardware deployments, based on key technologies Wind River developed for its Titanium Cloud product. The open source alternative can handle everything from initial hardware configuration down to application lifecycle management. It features auto-discovery, inventory management services, automatic host recovery, and offers a variety of redundancy models. The platform supports custom alarms and logs, as well as live migration of workloads. StarlingX is controlled through RESTful APIs, using either command-line or its own GUI called Horizon. It has been integrated with a number of popular open source projects including OpenStack, Ceph and Kubernetes. Wind River was owned by Intel when it decided to open source the project, but has since changed hands – in April, Intel announced it would sell the subsidiary to asset manager TPG for an undisclosed amount.